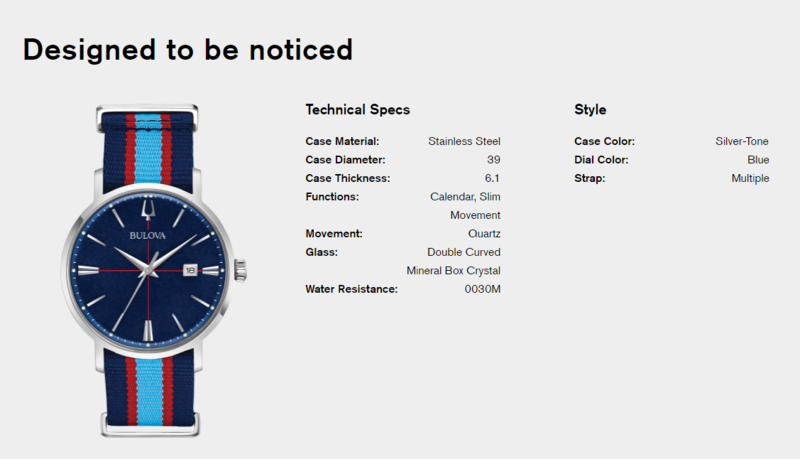 Silver tone stainless steel case and blue and red striped NATO strap with three-piece buckle closure. Blue dial with the signature Aerojet crosshair pattern. Watch features a double box mineral crystal, quartz movement, and water resistance to 30 meters.